Robert Ashton treads the path to 'Big Society' and shares what he discovers along the way. One of the delights of living with depression is that one's self-esteem is never accepted as a given. Whilst some people appear to have endless levels of confidence, mine has to be built from scratch each morning. 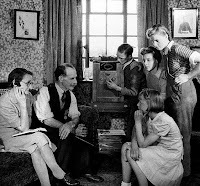 So I should have been delighted to hear a former colleague interviewed on BBC Radio Four's 'You and Yours' the other day.At the age of 73, he'd led a community group that has successfully re-opened a closed village pub. He's set up a CIC, won £20k in grants from the Council and very ably inspired his neighbours. I'm not surprised. Bryan was when we worked together 30yrs ago a very able marketer. He's also a Christian and so understands the need to put people first. But he's also done what others pay me to do for them - overcome the obstacles and make stuff happen. There are many people out there like Bryan although not all quite as capable of making the social enterprise journey on their own. He could, if he chose, now go out and help other groups as they struggle to save their former village pub. Although many benefit from outside help, all have some amazing qualities that overshadow any knowledge gap they may have. Listening to Bryan forced me to remember and helped me to understand. The fact that he has succeeded does not make me more likely to fail - it's not like that. In fact the more folk like Bryan succeed, the greater the demand for my services, working with others seeking to emulate the success they've seen. Others need the confidence to start the journey, people like me need the confidence to act as expert staging posts along the way. More than just the ticket - here's why! How do you feel if asked to pay 10% extra on your ticket price so that gift aid can be claimed? Confused if you’re like me! Once or twice now I’ve been visiting a museum, gallery or even zoo and been invited to pay 10% more than the ticket price so Gift Aid can be claimed. Never has the person making the invitation been able to explain why. Then someone I respect hugely, who runs a large third sector support organisation told me he’d refused to pay extra so that Gift Aid could be claimed. He didn’t understand why either. So I decided to find out because Gift Aid should be claimed wherever possible. After all, it increases charity income by 25% on qualifying gifts. Let’s start with the basics. Gift Aid enables charities (and Community Amateur Sports Clubs) to claim 25% extra from HMRC on donations made by UK taxpayers from their taxed income. In other words, you take the donation and divide by four to calculate the Gift Aid you can reclaim. The donor signs a simple form to confirm that they are UK taxpayers and are paying from taxed income. To make it easier for small charities, £5,000 of donations received can qualify for Gift Aid without any donor paperwork, providing none of them were for over £10. ; useful bonus that can be added to collecting tin income. And why ask for more to claim Gift Aid? Well the answer’s hidden in the HMRC Gift Aid guidance here . Para 3.38.11 describes the ‘admission charge plus 10% option’. 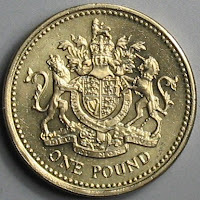 So if you charge £10 entry to your museum, garden, zoo, art gallery, ancient site or ‘scientific property’, if your visitor chooses to pay an extra £1.00 as a donation, you can claim 25% of £11 as Gift Aid – that’s £2.75; a total income of £13.75 on a £10 ticket. Social enterprise - it's all graft! I was recently challenged to enter what to me seems a pointless debate. The instigator was seeking agreement that charities are not businesses and thus cannot be considered social enterprises. His motivation for starting the debate was sound; he feels I believe that too often social enterprise is seen as a kind of ‘enterprise lite’, and considered by many charitable rather than commercial. He has a point. I’ve long been suggesting that tomorrow’s successful social enterprises are likely to be grown from corporate rootstock. Too many grafted onto existing charities fill struggle to achieve their potential. Of course there are many exceptions, including a number of go-ahead charities I am working with to develop trading income. But for the most part, I see the corporate landscape having the depth of resource and intellectual nutrients necessary to cultivate a strong crop of what we might today call social enterprises. It’s time we separated governance and structure from activity and focus. Yes, of course all organisations need to remain compliant with the legal parameters that define their existence. But to categorise them and suggest that some are ‘businesses’ and some not is not helping further the cause. Talking to Nick Donohue recently, one of the people setting up the Big Society Bank and you realise that Government have got this one right. Loans from the bank will be available to organisations with a robust plan and a commitment to invest their profits in delivering social good. They have no hang ups about structure and nor should we! When will we learn that you cannot buy success? 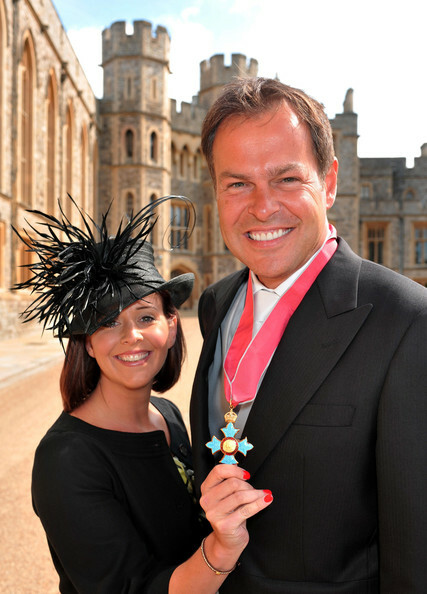 So Dragons Den star Peter Jones has been exposed by the Mail on Sunday. The report claims that his New Enterprise Academy has hoovered up £9m of Government money and delivered just 10% of the new entrepreneurs it was set up to create. When will the Government learn that big budget, big target, big name initiatives never work? Our Big Society will only be created when millions of ordinary people feel empowered and capable of doing extraordinary things. It's not about aspiring to own a plane and visit Buckingham Palace; it's actually about becoming proud of yourself, your neighbourhood and knowing that perhaps for the first time ever, you're in control of your future. By happy coincidence I'm launching my own Barefoot Business Academy in September and recruiting participants now. There will only be 100 a year and they'll work together and in small groups to define then achieve the success they want for themselves.I'll simply be catalyst, coach, mentor and champion, making their journey easier as the work through the 10 month programme. I'll share their pain, fix their challenges and help them see that they really can do it. We'll be answerable to no one but ourselves. There'll be no free rides either. 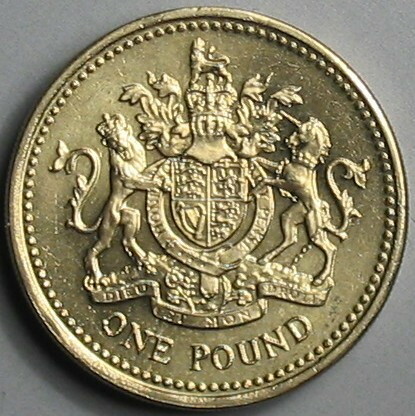 People will pay their way, £100+ vat per month and get their money back if it doesn't work out. Their only risk will be an up front assessment / commitment fee of £150+vat. That's to prove that their serious. Three have already signed - I'm expecting plenty more. No plans, no medals, just common sense and collective success. I've shaken hands with the Archbishop of Canterbury and bashing bishops of any kind is not something I'm inclined to do. 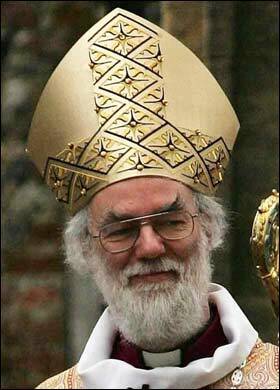 Rowan Williams is a very bright, passionate and surprisingly pragmatic cleric. I've heard him speak and know he sees his church as a strong force, capable of delivering real societal change at grasssroots level. We've had decades of idiotic planners, bureaucrats and petty politicians telling us what we need. Big Society surely is everyone's opportunity to actually go out and do stuff, 'be the change they want to see' as Gandhi once said. So, I'm not sure what motivated the outburst, but frankly I think he was wrong. Oops, I've just bashed an archbishop! 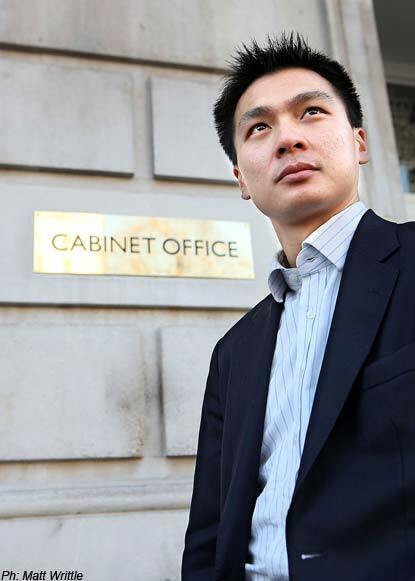 I was impressed by Nat Wei when I met him 10 days ago at the House of Lords. Young, bright and clearly determined to make a difference he somehow seemed out of place in what to me looked more like a gentleman's club than a place where social change is possible. If' you've not been through the 'Peer's Entrance' at Westminster you might be surprised (as I was) to find the guy behind reception wearing white tie and tails. Then after the inevitable photo ID and security scan, you find yourself in a large cloakroom. Each member of the Lords has a coat-peg and like Primary School, each has their name by in so they don't lose their coat. I've no idea if he arrived there because he was 'chosen' or if in fact he threw his hat into the ring. I guess it was a bit of both. Clearly though the place has beaten him and the crusty old farts who form the bulk of inhabitants will feel they've won. After all, who wants someone to challenge the status quo, demand change and present very cogent arguments for what for many must look like rocking the boat. I wondered what could have gone wrong and quickly realised that Nat had made a big mistake on day one. A mistake from which he never recovered. You see he was expecting to be paid, not unreasonably, but was told that the quota for paid Cabinet Office advisers was full. He took this at face value, worked for free and the rest is now history. To do 'Big Society' you have to challenge the status quo, bend the rules and sometimes overturn tradition. Someone told me that the quota system for paid advisers was a Tory move to counter the massive influx of paid advisers hired by the Labour administration, but that's politic, not pragmatism. Big Society is not political; it's about doing what's right so that the masses of frustrated folk trying to make a difference at grassroots level can actually succeed. Now Nat's hanging his hat on the Community Foundation Network coat peg. Here I know he'll be able to move on and make the difference he is clearly capable of delivering. What's more I'll be there helping him where I can, as I too work closely with the Community Foundation movement. In three weeks time, I'm meeting Nick Hurd to talk Big Society. Do you think I should drop a few hints about my future role? 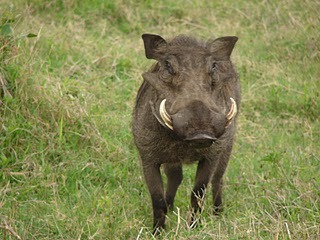 Why are too many social enterprises like warthogs? I recently came home from a visit to my daughter. She lives in Uganda so inevitably, I found myself out in the bush watching the wildlife. Game drives are a big money spinner in East Africa. Eco-Lodges are popping up in the game reserves attracting Europeans and Americans happy to pay top dollar for a far from authentic African experience. One day, my daughter and I encountered a lone Warthog on a grassy track. He didn't seem keen to see us and was clearly undecided about what to do. Should he charge and frightens away or should he be doing the running? You could see the indecision as he made ready to run one way then the other. In the end he wandered off, still unsure what to do. Someone told me a great warthog story that evening. It seems they are not the brightest animal in the bush and when confronted by a lion, they'll run without looking back for a kilometre or more. Here's the story. Having run away from a lion, tail in the air and feet pounding until out of breath a warthog stopped for a rest. Having stopped, it promptly forgot why it had been running and started to graze. The lion however, had followed and was waiting. It had not forgotten at all why it was chasing the warthog and soon pounced on hapless beast, that now was blissfully unaware of the danger. Too many social enterprises also have a tendency to flee at the first sign of danger. Then they find something nice and forget why they fled. The corporate lions on the other hand know exactly what they're doing. Many will play a clever game and just when it's least expected, will pounce on and consume the unprepared social enterprise. The moral of the story is this: if you decide to flee from adversity, make sure you keep looking over your shoulder and watch what your rival is doing. Mindless flight inevitably leads to needless defeat! I'm a published author, social entrepreneur and campaigner. Timid in my teens I'm using my 50s to make up for it! I'm convinced that in tomorrow's world, every enterprise will be a social enterprise. Here's where I'll explain why!